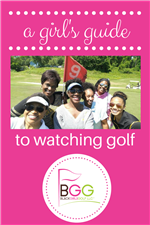 Are you ready for golf? This guide will help you define your goals BEFORE you invest the time and money in the game. No more guessing what you need to know. 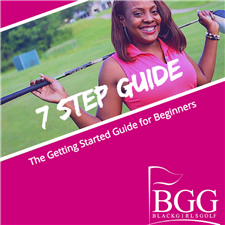 This guide walks you through the 5 most important things you should know when you're ready for the course. 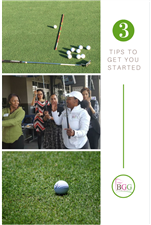 This 7 Step guide is perfect for the new golfer who has questions about how to get started like what should I expect during golf lessons,should I purchase clubs? What should I practice? 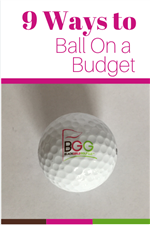 Golf can be expensive, but these 9 tips will help you get in the game without breaking the bank. This Cabrera leather palm & breathable synthetic mesh is a perfect fit for you. 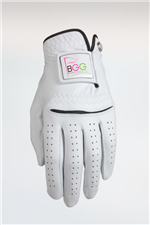 Glove may fit snug at first, as the leather will stretch over time. 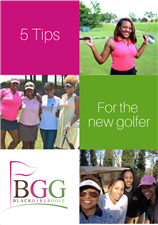 The BGG Signature t-shirt is a staple for any Black girl who golfs. This moisture wicking tee is perfect for a day on the range. Active fit. Download this handy guide when you're ready to watch golf on television. We'll give you a basic understanding of terminology and other tips for watching. 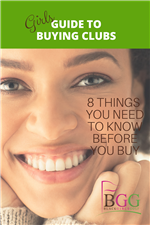 The tips you need before you shop for golf clubs. 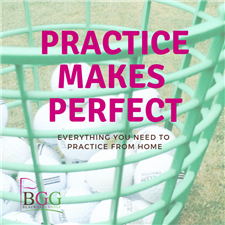 Tools for practicing on the low from the comfort of home. 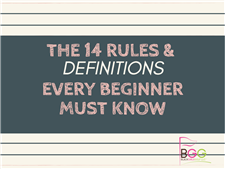 This beginners guide to the rules will help you get acclimated to the language of golf and give you only what you need to know to enjoy a round without breaking the basic rules of the game. 100% Softly shaped for a flattering fit Peruvian Pima cotton. Clean-finished side vents and hemmed sleeves. 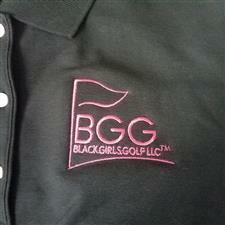 Short sleeve Signature BGG Polo. Athletic fit, self-fabric collar with dyed-to-match buttons. Fabric is moisture-wicking and anti-microbial. Canvas pouch perfect for golf tees, chapstick, and a few extras for your round.